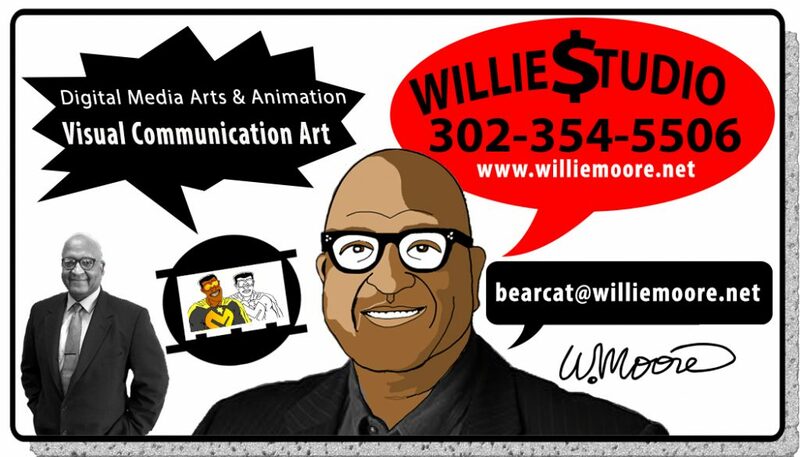 WILLIE MOORE: ANIMATOR | CONCEPTUAL ARTIST | FILM DIRECTOR | GRAPHIC DESIGNER | PROFESSOR | SONGWRITER. Endowed Professor (Creative), Hampton University Scripps Howard SOJC Teaching Animation, Motion Graphics, Compositing, Advertising, SFX, Digital Storytelling, Game Design, Film Editing, and Film/Video Practicum. Professor Moore has taught Radio, Television, Film, and Animation at Howard University as an Assistant Professor. He has been a full-time Professor of Media Arts and Animation at the Art Institute of Philadelphia in Philadelphia, Pennsylvania. 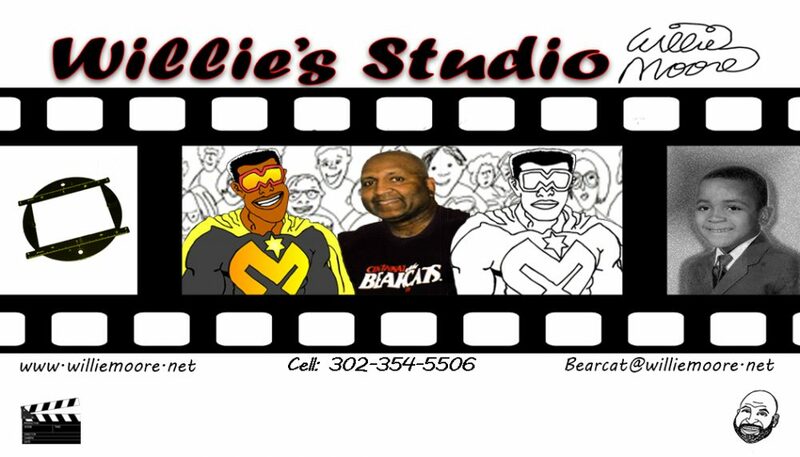 He has taught courses in history and production of a variety of Animation, Digital Media Arts, Graphic Design, And The History of Motion Media and Mass Communication subjects as an Adjunct Professor at Bowie State University and Morgan State University. He has taught as a Workshop Instructor for the Baltimore Youth Film Arts and Morgan Sate University (SWAN) Program. The workshop was sponsored by John Hopkins University Film and Media Studies Program and The Mellon Foundation. He is the Graphic Design and Motion Media Director for Black Hawk Imports of Farmingdale, New York. He is a Society for Animation Studies, American Institute of Graphic Arts (AIGA), American Society of Composers, Authors, and Publishers (ASCAP) and The University Film & Video Association (UFVA) member. He has served as a consultant for The National Center for Animation and on various committees including the sophomore student affairs committee, The New Technology Advisory Committee and advisor for Alpha Epsilon Rho National Broadcasting Society. He has been a Panel Judge for Numerous Festivals and Conferences, as well as a Society for Animation member, UFVA member, and ASCAP member. Professor. Moore is an independent animator whose animated shorts have gathered numerous awards such as “The Golden Eagle”, “Charlotte Film Festival”, “The Paul Roberson Award”, and “The Rose Bud Award.” His drug prevention animated films have been recommended by numerous organizations such as The National Clearing House for Alcohol and Drug Information, The Division of Alcohol and Drug Education Services, The School Library Journal, and The Children’s Welfare League of American Magazines. He received the MacArthur Foundation Grant for Media Arts Program for the Capital Children’s Museum to produce a program called “Lights, Cameras, and Commercials in the Community.” The program featured kids dealing with media literacy in their community. 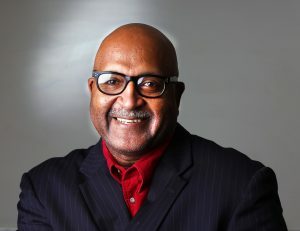 Professor Moore is a graduate in Art Education (BFA) and (MFA) in Film/Video/ Animation from the University of Cincinnati where he was a scholar athlete. He completed a fully animated feature film titled, “The Bully Situation” which was released by March of 2008. He brings to you over thirty years of Animation, Film, Video, Graphic Design experience and twenty years of teaching the motion media and graphic arts division. Create and implement multimedia curricula for kid’s age 8 to18 and producing multimedia installations for exhibits in the museum. Mr. Moore managed and was responsible for production of Film, Video, 2D Cel Animation, Clay animation, Audio, and Computer applications. Management skills include overseeing staff, interns, budget, equipment scheduling, equipment purchasing, grant writing, and execution of summer camp program. He incorporated the ability to create and manage partnerships with outreach programs and community organizations necessary. Experienced in A/B roll editing systems, stop-motion and motion capture animation, graphic design, computer applications and midi-music necessary. His early independent animation experience included children reading and educational programs.